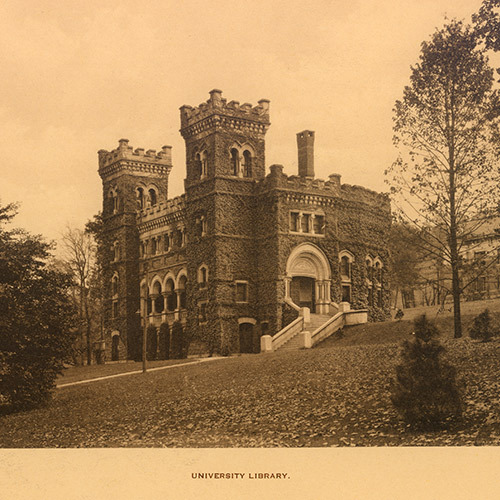 In 1865, Asa Packer founded a university that would contribute to the "intellectual and moral improvement" of the Lehigh Valley. One hundred and fifty years later Lehigh University has its eye on the future, redefining what it means to lead every step of the way. Asa Packer came from humble beginnings, but would go on to amass a fortune building and operating canal boats along the Lehigh Canal, mining and selling coal, and building the Lehigh Valley Railroad. 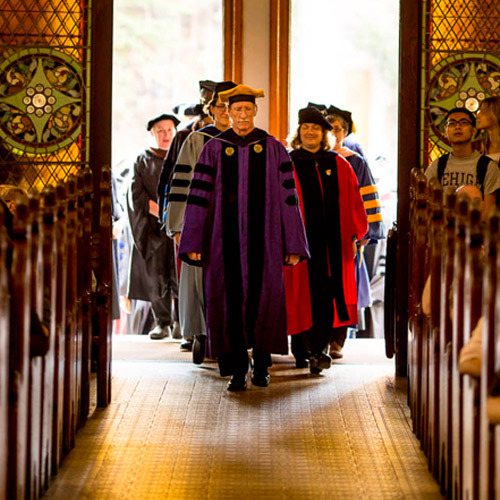 As a successful businessman, he came to realize there was a need for a university that taught not only the sciences and engineering, but offered students a solid grounding in the liberal arts as well. This led him to found Lehigh University. 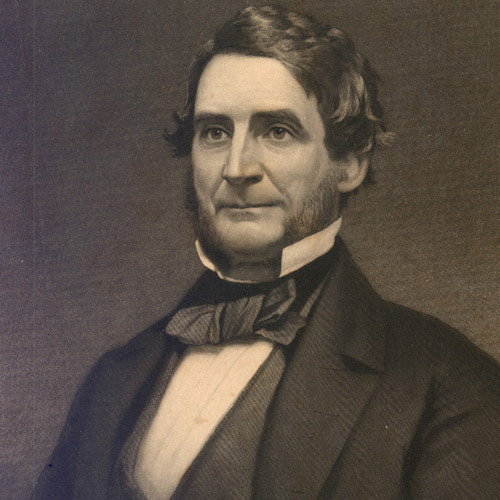 Asa Packer asks Dr. William Bacon Stevens to devise a plan for an educational institution “for the intellectual and moral improvement of the young men of the Lehigh Valley,” from where Packer derived his wealth. 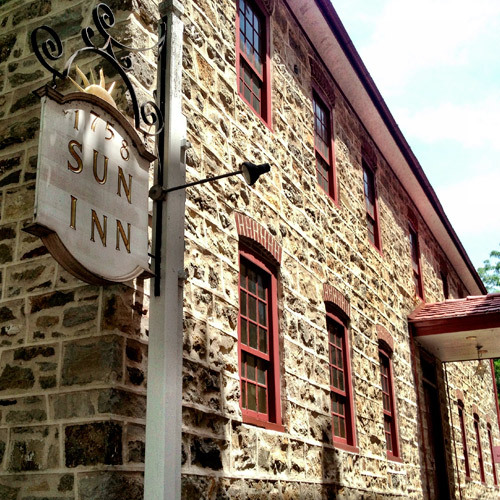 On July 27th, the first Board of Trustees meet at the Sun Inn in Bethlehem to organize a university. 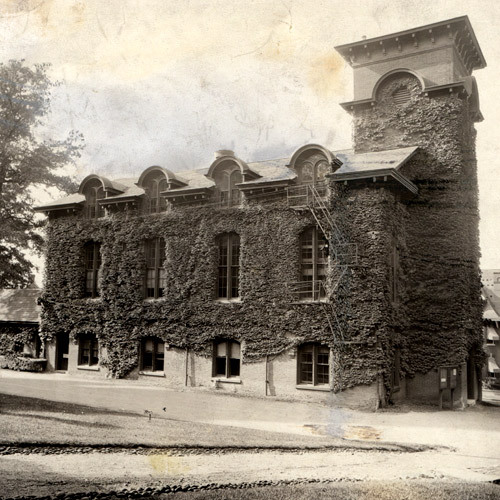 Asa Packer gives $500,000, which was the largest single endowment for an educational institution at that time, and donates a plot of 56 acres in South Bethlehem for the new institution. Henry Coppee named first president on November 4th. Asa Packer announces creation of Lehigh University at a dinner held at the Sun Inn ballroom. The first classes are held on September 1st in Christmas Hall. There were 39 underclassmen (and one upperclassman), and tuition was $90 per year for underclassmen; $100 for upperclassmen. 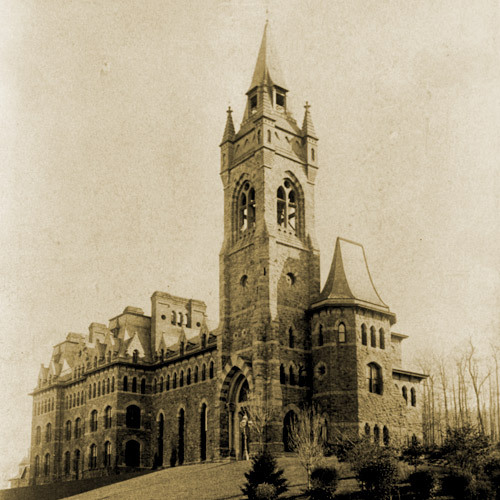 The governor of Pennsylvania signs act to establish The Lehigh University. Seal of the university is adopted. Packer Hall, now known as the University Center, is opened for classes on September 1st. 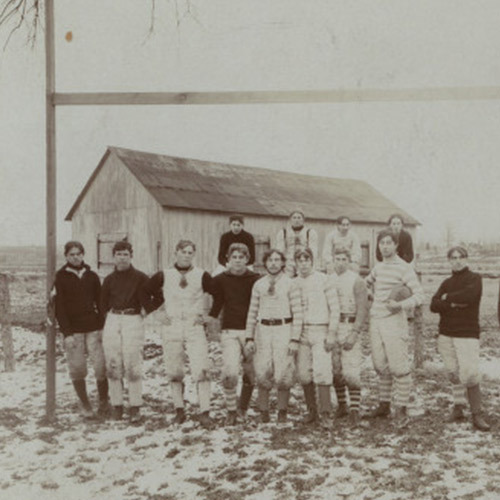 Lehigh graduates its first class of three students (pictured here with classmates) and opens Packer Hall on June 20th. Phi Sigma Kappa becomes the first Greek-letter fraternity on campus. Asa Packer donates another $500,000 to Lehigh University. Tuition is declared free to all students in all classes. Unfortunately, his plan ultimately did not work, and in 1892 tuition was resumed, at the rate of $100 for engineers and $60 for the School of General Literature. 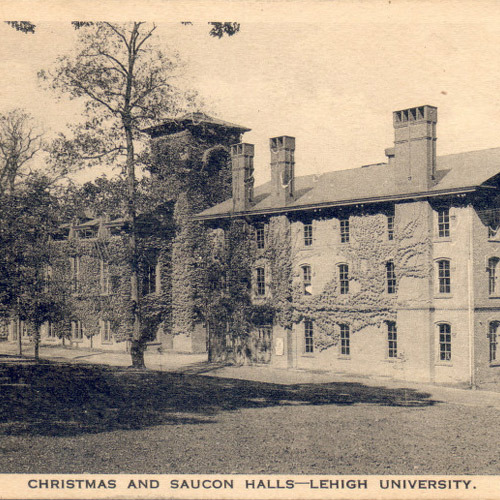 Saucon Hall, a dormitory and mess hall, becomes the third building on campus on September 1st. The Lehigh Journal becomes the first Lehigh publication. The Athletic Association is organized to create a gymnasium and other facilities. 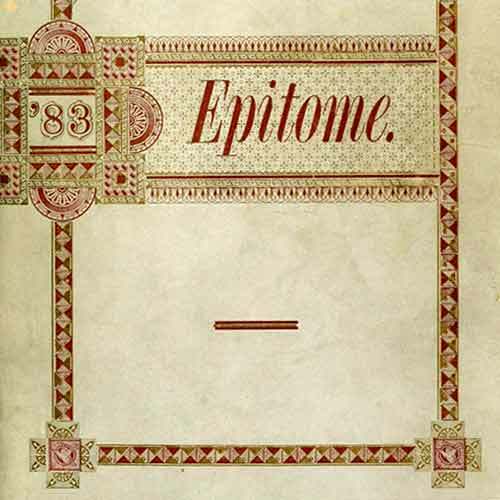 Initially a sophomore-class publication, the book contained class histories and lists of fraternities, clubs and teams. 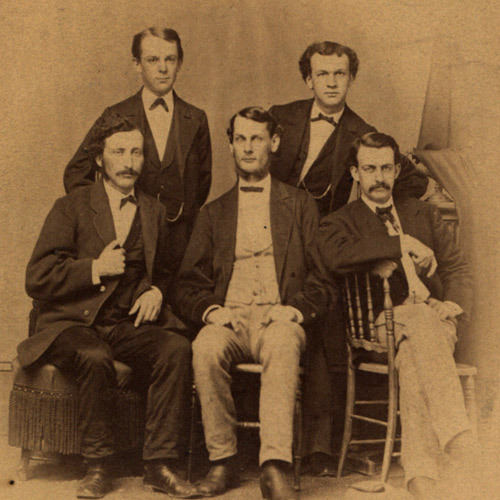 Over time, photographs and advertisements began to dominate the publication, until the junior class took over in 1884 and incorporated more writing. By the time the senior class took the reins in 1931, the book included histories of fraternities, seasonal sports reviews and a brief summary of each graduate’s Lehigh career positioned under his photograph. John M. Leavitt is named president. 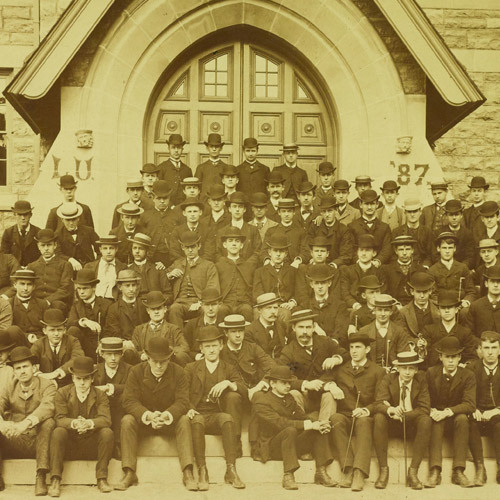 Until 1876, individual classes at Lehigh had colors, but not the university as a whole. 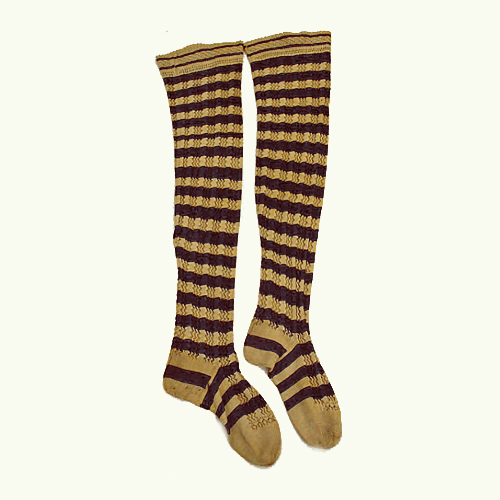 Accounts of the choice are varied, but the most popular theory is that brown and white were the colors of the stockings worn by a lady some students admired. Dedicated in memory of Asa Packer's daughter Lucy Packer Linderman, his oldest child, Linderman Library houses a rare book collection that includes Darwin’s On the Origin of Species and first editions of English and American literature from the 17th to 19th centuries. One of the most beautiful structures on Lehigh’s campus, Linderman boasts a Victorian rotunda with a striking skylight. Lehigh offers first postgraduate degrees in Master of Arts, Doctor of Philosophy, and Doctor of Science. Following the death of Asa Packer on May 17th, the first celebration of Lehigh’s founder is held on October 9th.